Mission for Area People presents Music for Meds, bridging the gap between patients’ emergency medical and dental needs. 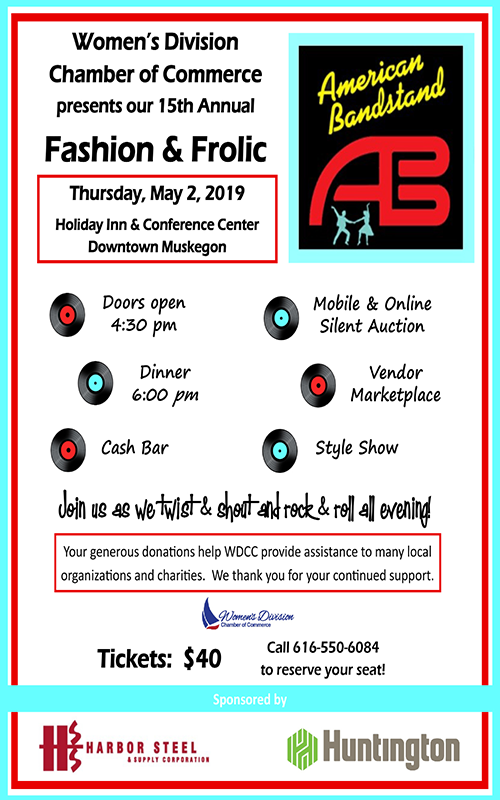 Enjoy an evening of entertainment while raising money to benefit this great cause. 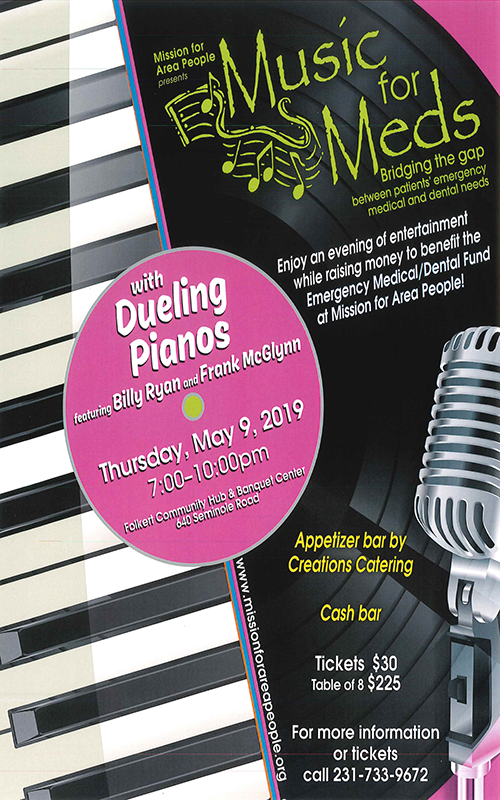 The fun event will feature the entertaining Dueling Pianos featuring BILLY RYAN and FRANK McGlynn. Tickets are $30.00 per person or a Table of 8 $225.00. This includes heavy appetizers and a cash bar. For more information or tickets call 231-733-9672. Visit us on Facebook or our website www.missionforareapeople.org Help support the much needed Medical/Dental Fund at Mission for Area People.